Brilliantness, simply brilliantness. A great find. 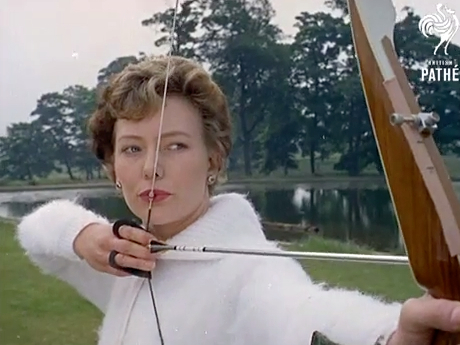 It’s British Pathé Tuesday, and time for some Cholmondley Warner-style bowmaking, fletching and archery from 1961 in glorious Technicolor, fetching outfits, and staggeringly RP accents. Enjoy. This entry was posted on Monday, May 19th, 2014 at 8:11 pm	and tagged with archery, hobbies, sport and posted in archery, hobbies, sport. You can follow any responses to this entry through the RSS 2.0 feed.